WordPress blogging software can be used for a lot of things, for example, creating a static website, photoblog, business websites, portfolio website, and so much more. 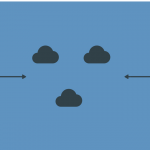 However, there is something which is not really featured by default in wordpress back-end, which is the ability to create tables in wordpress. For some people who know some HTML programming language, they will probably find no issue, but for those who has limited knowledge regarding coding language, like myself, will find a plugin that can put tables in wordpress very helpful. There are many reasons why people might want to add tables in their wordpress based websites. The goal is definitely offering more specific and complete informations by using the associated table for our visitors and readers. 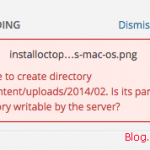 Remembering installing wordpress is not only for blogging purpose. I will actually show you how to create tables in wordpress later on, but I will post some screenshots that I have tried with wordpress 3.2 (beta version) having some rows and columns in a table of a post. This is actually a table which I have created inside my dashboard, typing the input myself. So basically we configure how many rows and columns we want, and then type any letters or numbers ourselves. This is a table where I imported from a CSV file, a Comma Delimited file that I have created with MS Excel, and I have uploaded from my computer to my admin page. How to create, putting or add tables in wordpress? 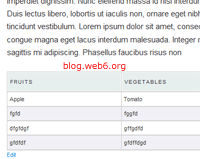 We are using a plugin which is called wp table reloaded. (compatible with wp 3.1, I have tried with wp 32 beta. 2. 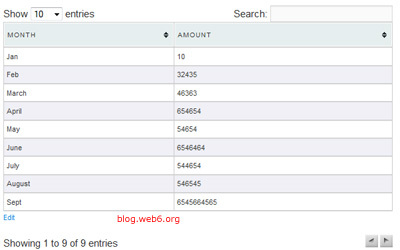 Once it is installed, go to the plugin’s setting, which is in “Tools” and then ” WP-Table reloaded” link. 3. Now you can view “list of tables” if you already have some, if you haven’t, then it will be empty. 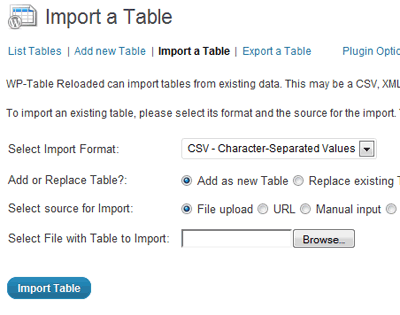 Then you can “create a new table”, export or import a table too. As you can guess, you can even change the default number of rows and columns as you wish. By default, it is 5 columns and 5 rows. Type the input into the table. 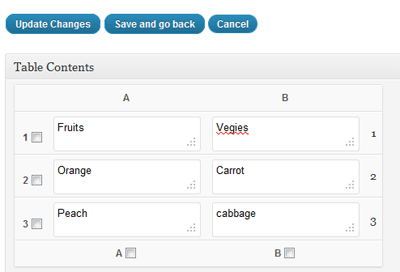 Type in the list, I typed vegies, and fruits with the lists, and we are almost done! 5. 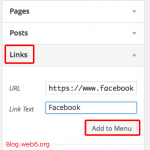 In the top of the page, you will see the shortcode (see screenshow below) that you can then copy and paste anywhere in a post or pages, and you will see a table will appear in your post or page. How to import tables in wordpress? Now if you have created a table in another program, such as Microsoft Excel, you can also import your tables in wordpress. 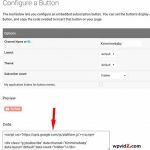 The step is not difficult too, the step (2) above, by clicking “Import a table” will allow you to upload a tablet, or even from a URL to your wordpress blog with many options you can modify as you like. In the import a table option, you can choose the table format you want to import, there are a CSV, HTML or even an XML file format. 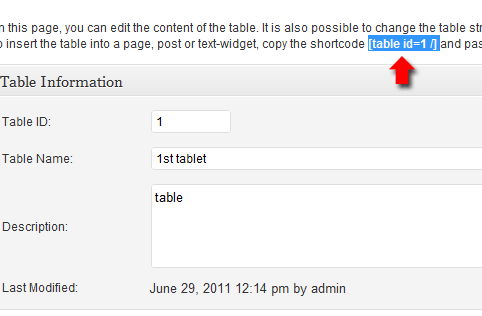 By using this plugin, creating and adding or putting tables in wordpress is easier. Oh yes Kimi, I wonder why wordpress does not provide tables by default. 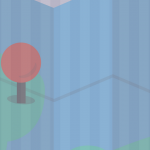 I was going to source view and typed the tags when I need table, but it is really a nuisance. This plugin is certainly great for anybody who requires tables in their posts frequently.